Richard Warburton is an empirical technologist and solver of deep-dive technical problems. Recently he has worked on data analytics for high performance computing and authored Java 8 Lambdas for O'Reilly. He is a leader in the London Java Community and organized the Adopt-a-JSR programs for Lambdas and Date and Time in Java 8. 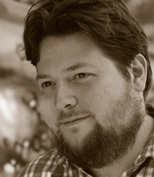 Richard also frequently speaks at conferences, and has presented at JavaOne, DevoxxUK, Geecon, Jfokus and JAX London. He obtained a PhD in Computer Science from The University of Warwick, where his research focused on compiler theory. You can follow Richard on Twitter @RichardWarburto.